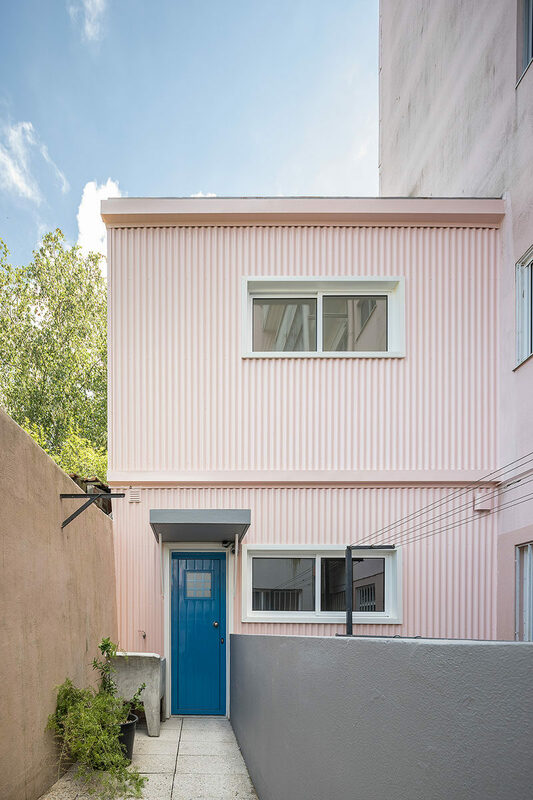 Paulo Moreira Architectures have completed the contemporary renovation of Casa Zaire, a tiny house that’s located at the rear of a modernist building in Porto, Portugal. Just inside the front door is the bathroom. 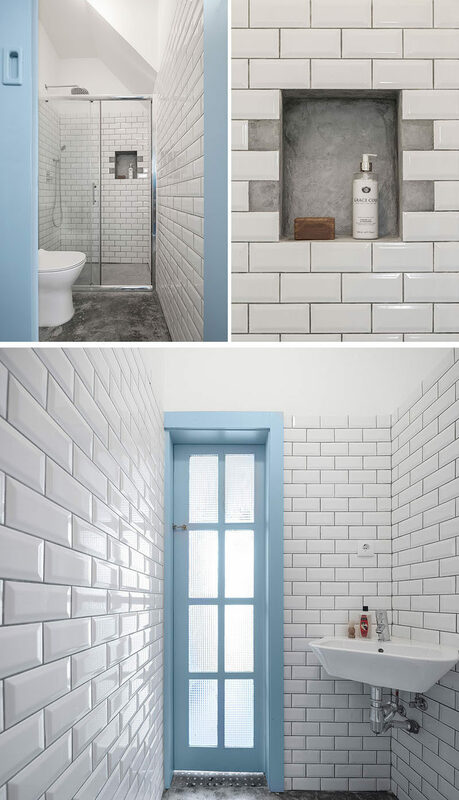 A built-in shelf in the shower is surrounded by white subway tiles, while the basin is nestled into the corner. 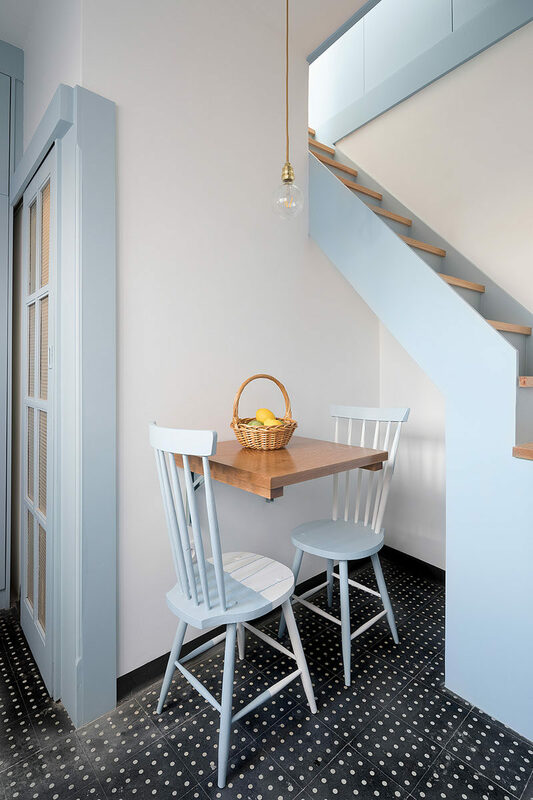 Around the corner from the bathroom door is a small dining area for two, that also partially tucks into an alcove underneath the stairs. The original tiled flooring was kept despite its ‘worn’ look. 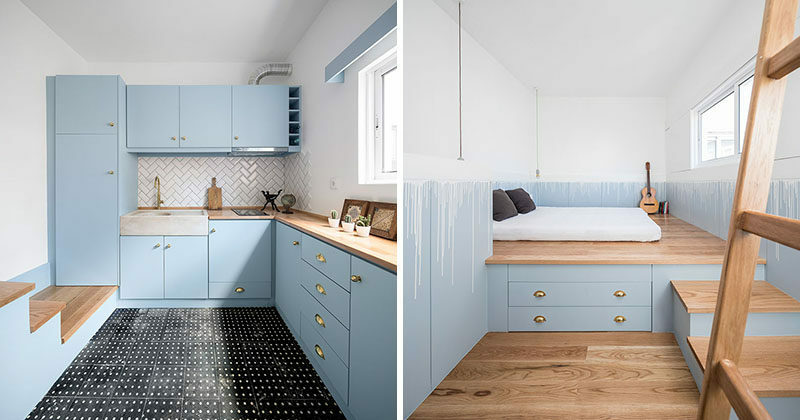 The small dining area opens up to the kitchen, that features powder blue cabinets, a wood countertop, and white subway tiles in a herringbone pattern. 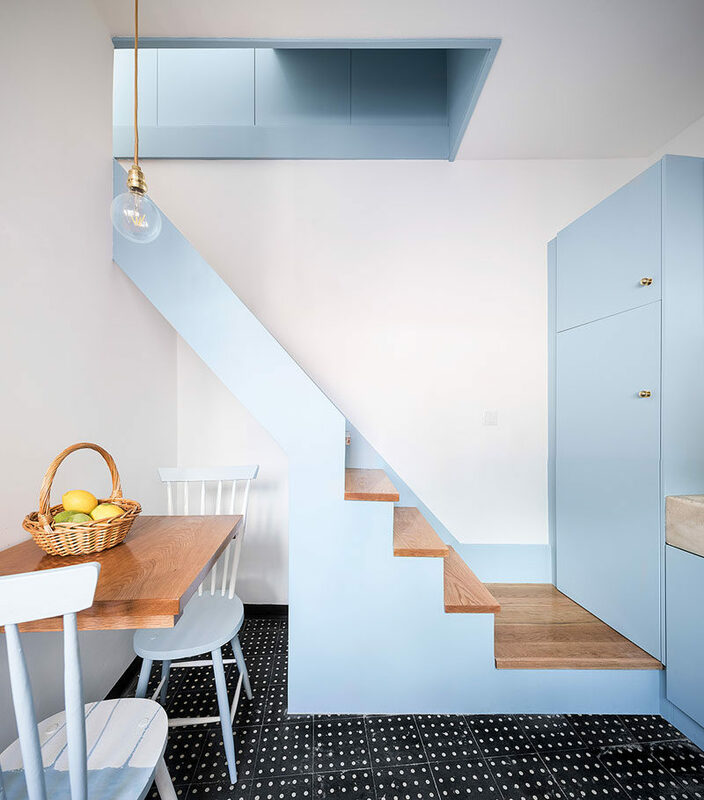 Simple stairs with wood treads run alongside the wall and lead up to the bedroom. 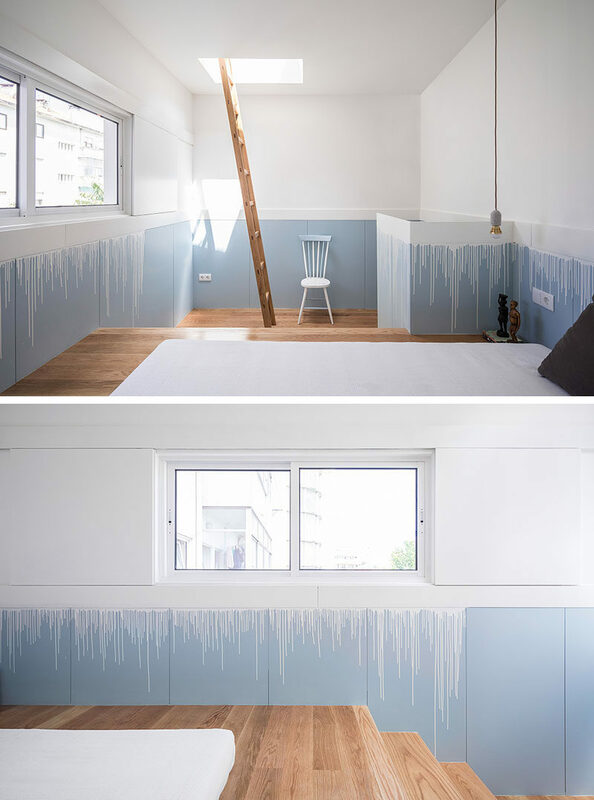 At the top of the stairs, the bedroom has the lower half of the walls painted in the same blue as the kitchen and stairs, however a ‘drip’ effect has been used to transition between the white upper walls and the blue lower walls. 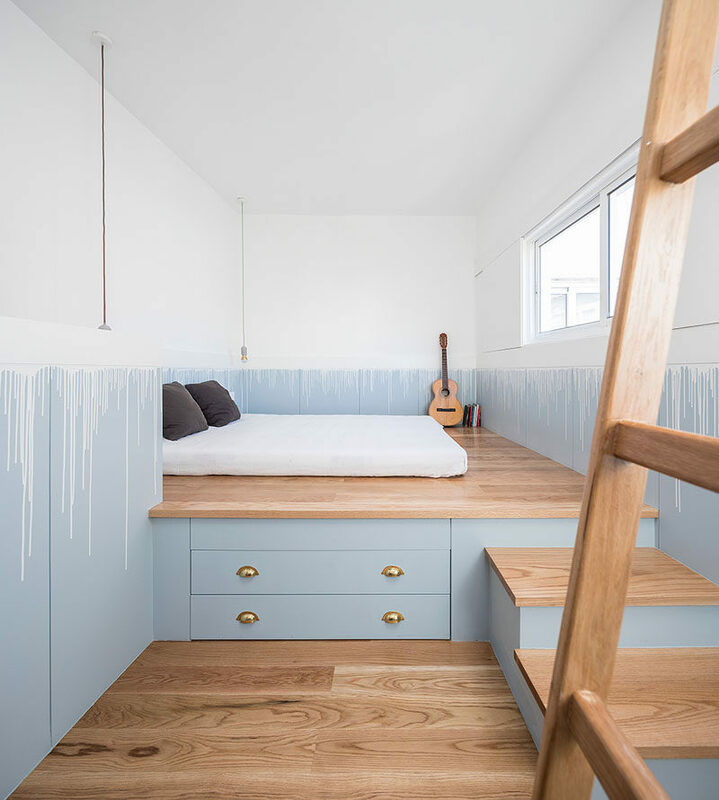 The bed has been raised up onto a custom-designed wood platform, that provides much needed storage in the tiny house.